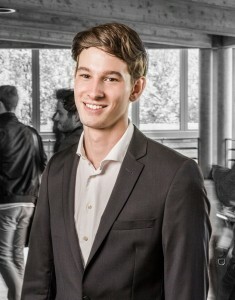 Felix Michel is currently enrolled in the Bachelor of Arts HSG in Economics and an active board member of the Student Union of the University of St. Gallen. He arranges for the concerns of students and students’ associations to be heard and accompanies them through the administrative and financial processes. The central concern of the Chairman is the provision of services to students’ associations and the cooperation with all of the university’s stakeholders to allow an integrative strategy development. This results in various cooperative projects, which remain open for all concerns and interests.